Noel Edmonds has hit out at a Sun on Sunday story, which claimed he is leaving the UK after being voted off a reality TV show, calling the article “absolutely disgusting lies” in a social media tirade. Edmonds railed against the article, published on Saturday night, which is headlined: “‘Crushed’ Noel Edmonds plans move to New Zealand after being upset by I’m a Celeb rejection”. 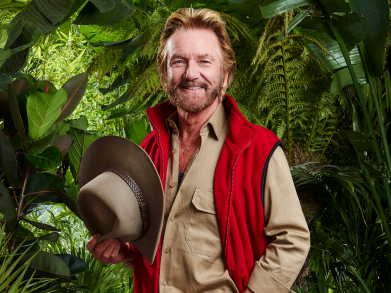 Edmonds (pictured) was the first to exit ITV’s I’m a Celebrity… Get Me Out of Here! which is based in the Australian jungle. 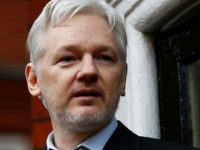 In a video about the article, Edmonds said: “I normally totally ignore attacks on me by the tabloid press, but today’s Sun has written such an untrue story and such a malicious story that I have to respond. “Apparently I am so crushed following my experience on I’m a Celebrity that I’m putting my house on the market and I am skulking off to New Zealand. He added: “The house that I have in the UK was put on the market a couple of years ago and is now sold. He went on to single out the Sun journalist who wrote the story, describing the reporter as “the low life of British journalism”. 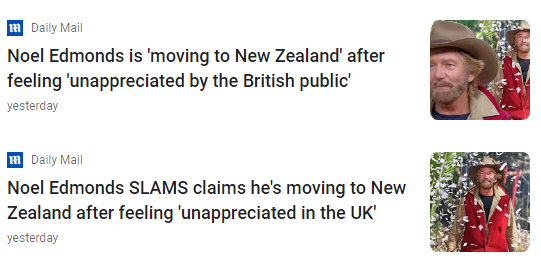 “If there’s any reason why I would go to New Zealand, it’s to get away from disgusting people like you,” he said. The Sunday People reported in 2016 that the former Deal or No Deal presenter was “quitting Britain” for New Zealand and had put his £2.65m Gloucestershire home on the market. In December last year, fellow News UK title The Sunday Times also reported that Edmonds was looking to sell the Grade II listed country manor. Speaking to the Sunday Times about the sale, he said: “The truth is, we’ve had residency in Monaco for five years and now divide our time between a beautiful apartment there and another home in Grasse. The Sun article on Edmonds was followed up by the Metro and Mail Online, which appears to have run the story with the same angle before changing its headline. The Sun said it was unable to comment on the video by Noel Edmonds. The Independent Press Standards Organisation said it had received one complaint about the Sun on Sunday story, under Clause 1 (accuracy) of the Editors’ Code of Practice. A millionaire without talent living in Monaco. Who cares. What low grade, barrel-scraping tittle-tattle – please try harder, Press Gazette.